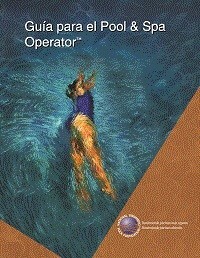 This book, in Spanish, is included with the CPO® Certification course registration. 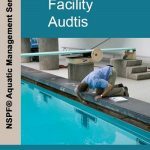 The textbook for the course, NSPF® Pool & Spa Operator Handbook, proves to be an invaluable resource and reference for both the novice and professional. This book, in Spanish, is included with the CPO® Certification course registration. It can be ordered for those who do not wish to take the course but want to use the textbook as a reference material. The textbook for the course, NSPF® Pool & Spa Operator Handbook, proves to be an invaluable resource and reference for both the novice and professional. REFUND POLICY is as follows. For CPO® Certification Services, a refund will be given prior to 14 days of the class less a $35 cancellation fee and a 5 percent credit card charge. No refund will be given in the two week period before the start of the class. For products, refunds will be given on unopened returned merchandise within 30 days of purchase minus a 15 percent restocking. Shipping fees are not refundable. Once this item, to be eligible for refund as per policy, it must be in a re-salebale condition which means unwritten, unmarked, unused.